The natural landscapes and the diversity of terrains that the island of Ibiza presents, make it an ideal place to perform all kinds of sporting events. For the lovers of the running as those of the bicycles, without forgetting the marathoners or the swimmers, for both amateurs and professionals, the island has become a nerve center for all types of athletes from all corners of Europe. 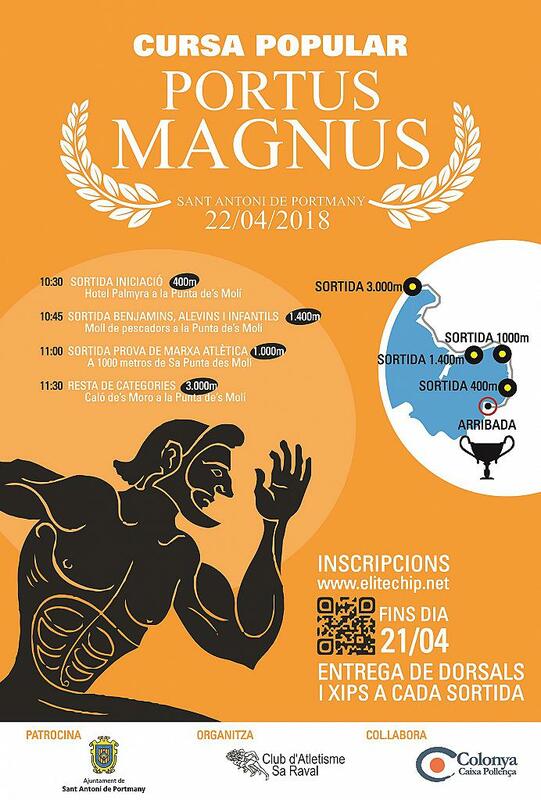 Today we want to remind you that the X Edition of the Popular Portus Magnus Race will take place next April 22th on the coastal promenade of the bay of Sant Antoni de Portmany. This popular race includes categories for children from 6 years to adults over 60, including an athletic walking race. The start will be at a certain distance and adapted to the category, but the finish line will always be at Sa Punta d'es Molí. .Registration is open until April 21th, through EliteChip.net.